Let the drinking debate begin again. The issue of Sunday liquor sales is being bandied about in the state legislature. The bill, championed by State Rep. Kathy Tallarita. a Democrat from Enfield, would give businesses the option of selling alcohol on Sundays, changing one of the state's oldest blue laws. Could this be the year that Connecticut allows the sale of alcohol on Sunday? The idea of Sunday sales has drawn passionate debate on both sides, with proponents saying it would help bring in revenue, and critics claiming the cost of staying open seven days a week would force many small businesses to close. Tuesday's hearing was packed with package store owners who oppose the bill and say it would cost up to $14,000 a year each to remain open for seven days a week. Proponents say Sunday sales would be boost state revenues by as much as $8 million. 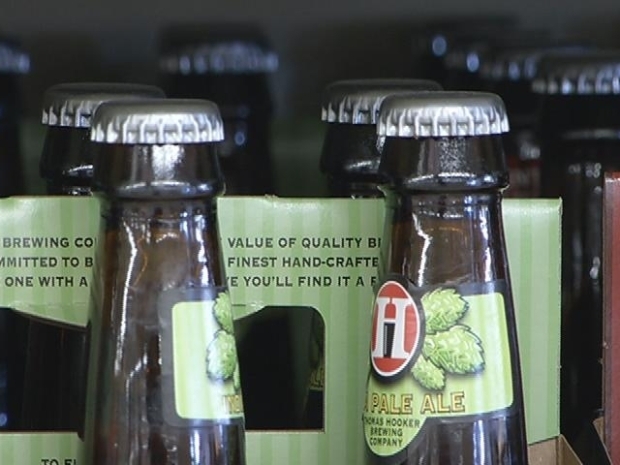 The package store association says such estimates are flawed. Besides helping businesses and consumers, Tallarita said the bill would only help the state's budget woes. “We are all aware of the state’s large projected deficit,” Tallarita said. “The state’s taxpayers will be winners if this bill becomes law because Connecticut will gain millions of dollars in new revenues." Gov. Dannel Malloy has said that he would sign the bill if it reaches his desk.